cylinder heads for any engine- call to discuss your needs. 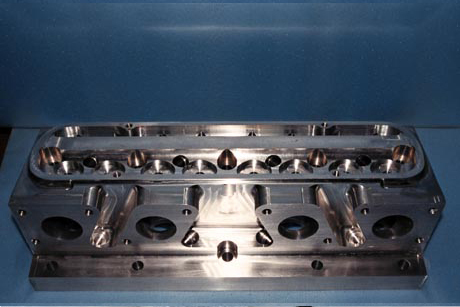 We build prototype and short run low production cylinder heads for any race car. We can also build vintage racing and antique automobile duplicate cylinder heads. We can Digitize any Cylinder Head. We can Modify our Digitized Tool Path and cut the Modified Tool Path in any Cylinder Head. 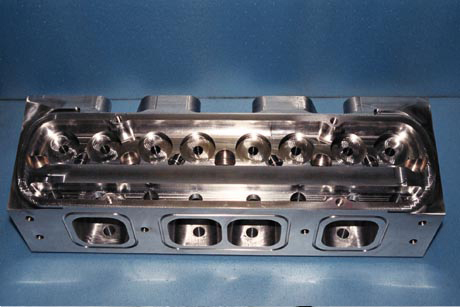 We build Duplicate Cylinder Heads. Our Duplicate Cylinder Head will produce the same, or more power then the original cylinder head. We can work closely with our customers through all phases of construction to insure the product we deliver is “as specified”- or we can engineer solutions to the unique problems your job presents. We can supply a ready to install product, or any stage prior to. We are always building something, what can we build for you? Contact Us!